We know you love your family. That we are sure. This is why we suggest you to consider taking steps to ensure they are protected, and you are when you retire. Don’t worry about pushy agents, we will educate you and take as much time as you need to make a decision and if not, that is your decision too. Let Empire help you make it. We have access to most major carriers in New York State and can handle a broad range of needs. 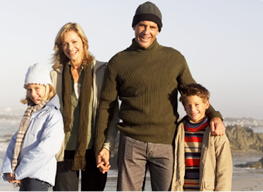 Empire Region Insurance Agency allows you to choose from a diverse range of life and retirement planning policies. We will work with you to fit your personal and economical needs. We understand that choosing different types of policies and figuring out which policies best fit your needs can be a daunting task. No matter where you are in the decision phase, we can help. Send us an e-mail and we can forward information, call us or we can meet you- however you are most comfortable. Get a quote on your Albany Life and Retirement Insurance Today!